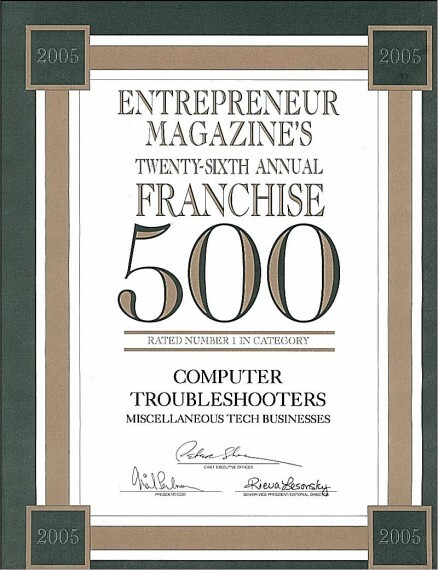 March 2011: Computer Troubleshooters wins the Franchise 50 Award again! 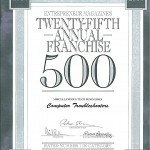 The Franchise Business Review has awarded a Franchise 50 award to Computer Troubleshooters. This is the 3rd time that Computer Troubleshooters has won the Franchise 50 award. The Franchise 50 award is unique in that it is awarded based entirely on the satisfaction of franchisees within a given franchise network. 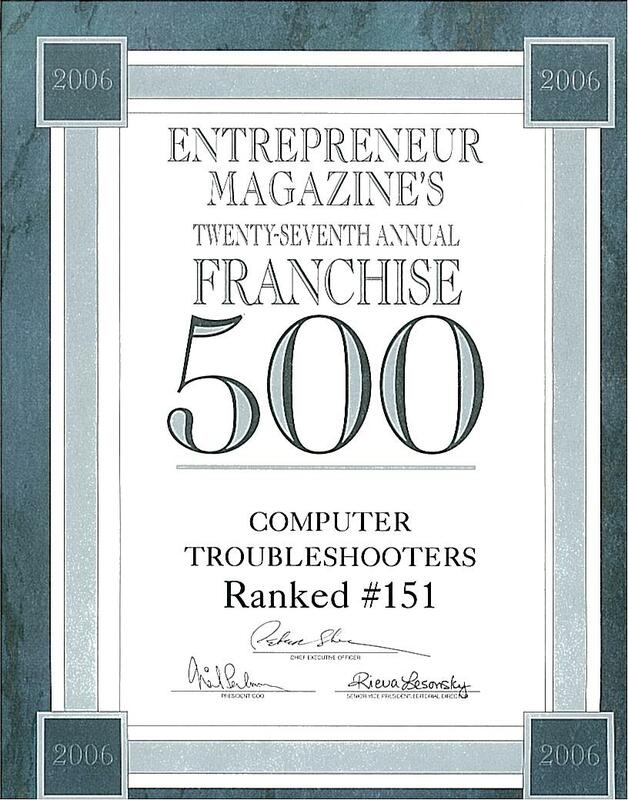 Computer Troubleshooters was ranked #20 overall and ranked as the top technology franchise. August 2008: Computer Troubleshooters recognized by Entrepreneur Magazine! 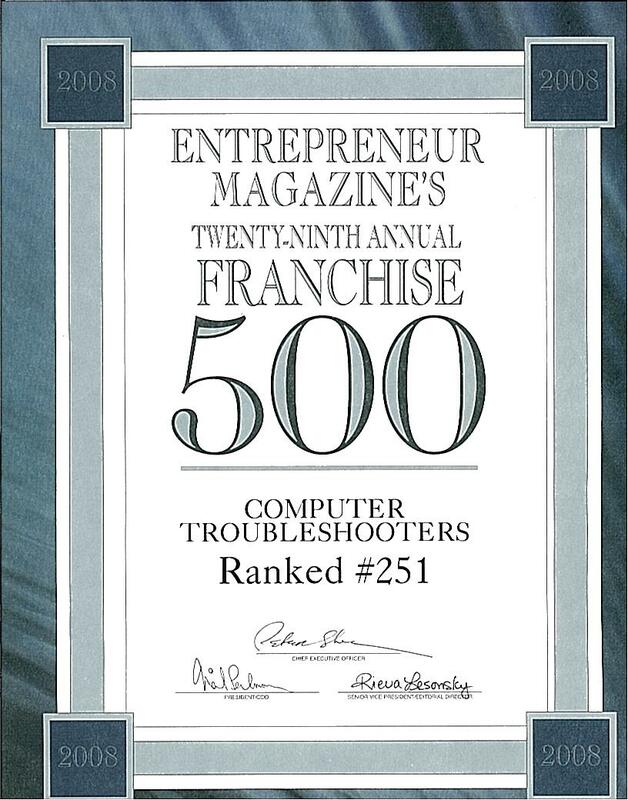 Entrepreneur magazine has released its 2008 “Franchise 500″ rankings and once again Computer Troubleshooters made the list for the 7th time! Computer Troubleshooters ranked #251 overall and is once again the top tech support franchise ranked by Entrepreneur. This is the 7th consecutive year CT has been recognized in the prestigious Franchise 500 rankings. Computer Troubleshooters was also noted in three specialized categories. It was named Top Global Franchises (#118), Top Low-Cost Franchises (#54) and Top Home-Based Franchises (#64). Click here to read more on Entrepreneur Magazine’s own website. They are amazing! They are not only fixing the problems but also give us useful tips on how to prevent it happening again. Brilliant! © 2019 CTS Team Pty Ltd. All rights reserved.